The Cheese Bread is a typical Brazilian preparation, being found in the recipe books in all regions of Brazil. Its basic ingredients are manioc starch, eggs and cheese. 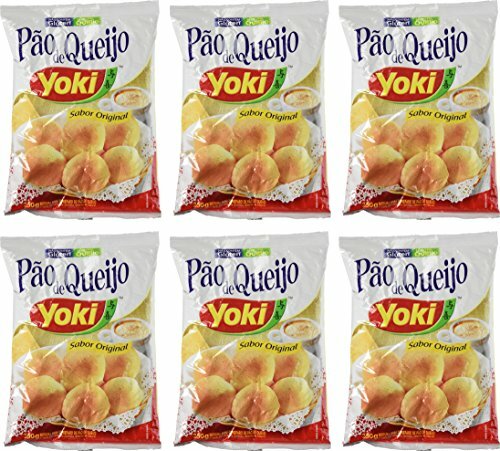 The main characteristics of this products are the crunchiness of the crust and the softness of the dough, it also has a very pleasant cheese and manioc flavor. It is usually eaten as an appetizer in restaurants, with tea and specially with a delicious cup of coffee. The YOKI Cheese Vread is very easily done, does not demand special skills and has all the characteristics of a home made cheese bread. ☛ Does not contain gluten. ☛ Easy to prepare. Great for breakfast or as an appetizer. ☛ Contém leite e soja. Fácil de preparar.